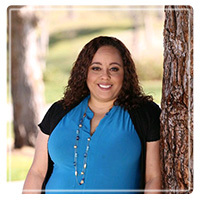 Victorville Therapist: Nyshia Johnson - Therapist 92392. Send A Message To Nyshia. Professional counseling that uses your faith & values to bring healing and hope to your life. Are you worried about asking a stranger for help? Well don’t be. It’s no mistake that you’re here today. I know sometimes it can be scary, but that’s why I’m here. To offer you support and help when you need it most. I share your values, your faith and desire to see how your spiritual life applies to your situation. I am here to listen to you, without judging you, or your situation. To offer care, concern and empathy for you and your relationships. I am not here to “fix” you or tell you what you need to do. I am simply here to help you figure things out and, if appropriate, offer advice, or an alternative opinion. My goal is to provide you with comfort, hope and healing in times of confusion and pain. I am committed to helping you, your relationship, your marriage and your family, in your time of need by bringing you to a place of peace, hope and understanding. I have over 14 years experience and I specialize in improving relationships, anxiety disorders, mood disorders, PTSD/Trauma and depression. I am a Certified Anger Management Facilitator and Parenting Instructor. I understand medication management and have worked for years with both psychiatrists and physicians. I can assist you with understanding your emotions, communicating with others and learning positive coping skills that can help you either avoid, decrease or eliminate the need for psychotropic medication. I have the expertise to support you and the ability to teach you the skills you need to grow to the person you desire to be. My office is now offering Pastoral/Spiritual counseling from our Counseling Minister, Pastor Jeffrey Leach. With over 40 years of pastoral experience, as well as, a Master's degree and PhD in biblical counseling, he is able to provide you with the most professional, confidential pastoral counseling outside of a church.